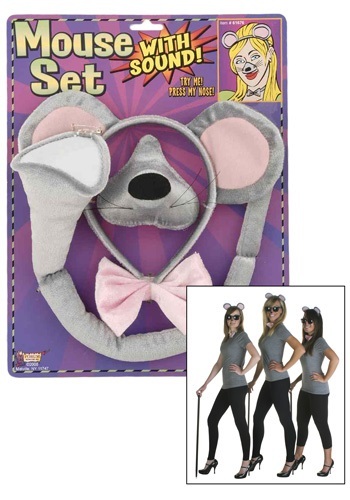 Introducing the hottest new girl band on the block The Three Blind Mice. They can't see but boy can they sing! Well, they only sing about cheese, you'd be surprised how long the love song about gorgonzola is. Honestly, though, it's pretty darn catchy even though it hasn't made its way into the top 40. Maybe it hasn't worked because of their high pitched voices. We think they're pretty cute though. Their dance moves are pretty great, too! Especially since they can't really tell where they are going. They seem to use their canes to their advantage, they're the best dancers since Ginger Rogers and Fred Astaire. You should see their Mouse Trap routine, it's absolutely stunning! This set comes with adorable soft ears on a headband, a clip on tail, a pink bowtie, and a nose that squeaks when you give it a squeeze. 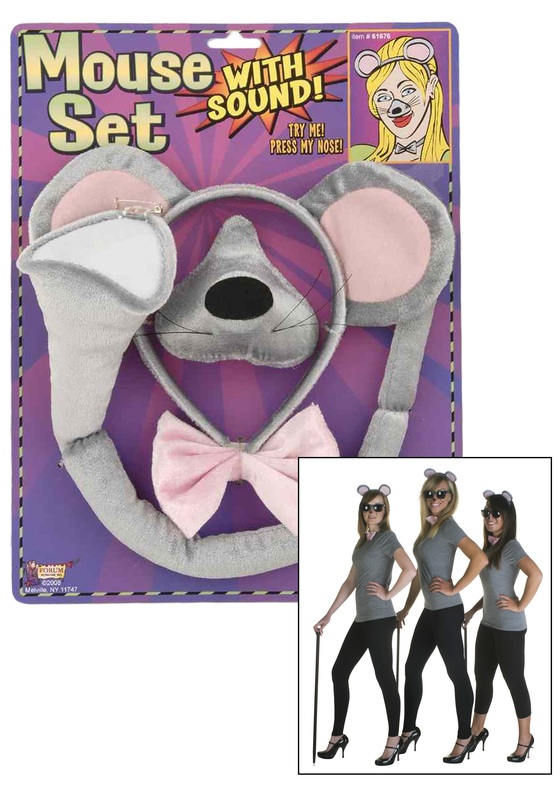 You can be just like the new band, Three Blind Mice! Pair it with one of our canes and a pair of black sunglasses. Hey, having a cheesy costume is a good thing.